I'm looking to replace the old fixed power scope on my 10/22 with something that has some zoom. Not looking to spend more on a scope then the gun cost though. I've been thinking about this one from Simmons, which is about $60 online. Any other suggestions on a decent scope for cheap? I'm pretty pleased with my ~50-60$ tasco I picked up at cabelas. I really fail at taking pictures of what it is, apparently....but that's what it looked like in the package. works pretty well for me. and it came with the mounts! When you decide to make a decision, go here first: The Sample List - The Entire Sample List! It's ran by SWFA. It is New Blemish (Exterior only, not lens), New Showroom, refurb, or open box returns. It's been good to me. That one is really nice N8, but more than double what I wanted to spend on it. I still have to budget for an AR too ya know, and I'll want nicer optics on it. The Tasco one looks aight, but I think for the money I'm gonna go with the Simmons. The one Mic is linking to is similar. Should also be an excellent scope. The Sample List - The Entire Sample List! So you're saying I should look at the sample list? Only if you like saving money and don't mind a blemish or refurb. You said you didn't wanna spend a whole lot of money, and there is a way to get a better scope for less! 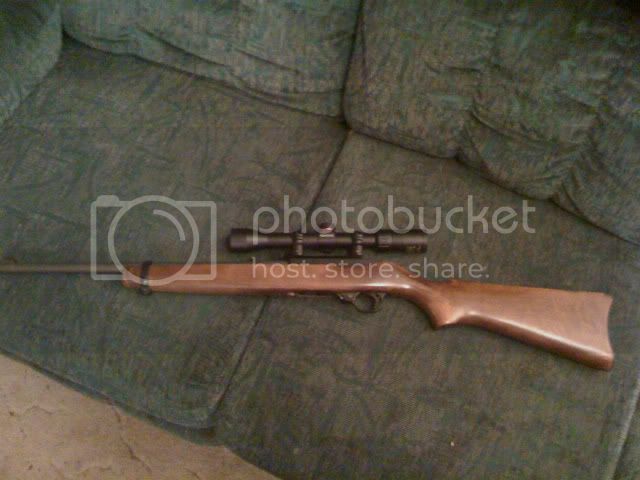 I just put a refurbed bsa 2-7 on my 10/22T for $29... 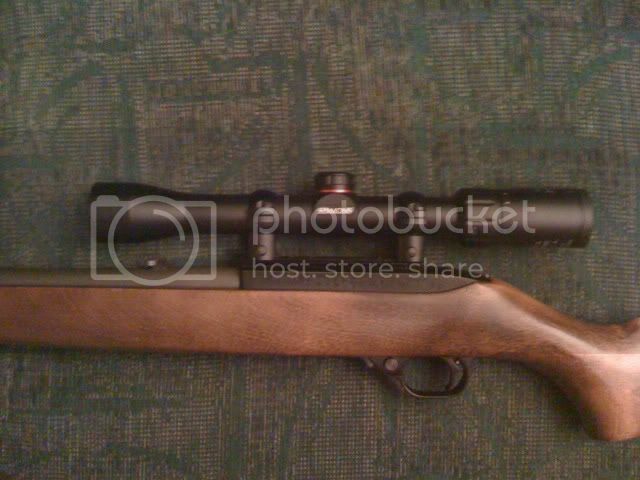 I have a bsa sweet17 on my .17hmr and really like it so figured why not another..
PS. I have a nikon prostaff 3-9 BDC on my .223 bolt gun, and I LOVE IT, so bright! Well I found the Simmons on teh intergoogles for $40 with rings so I pulled the trigger. I crack myself up some times. nice, hows that 10/22 work? jam? Haven't had a chance to shoot it since I got the scope. Always worked good prior, though the 30 round banana mag I have for it hasn't been super-reliable. The factory 10 rounder is though. It is a little picky on ammo though, mostly all-lead bullets get it filthy quite quickly, which has caused some jams. Sticking to copper-coated/jacketed stuff helps a LOT. I'll give a range report after I've sighted in the scope. Old thread ,But I have 3x9x50mm Tasco And Leopold Rings. I always was going to upgrade.But the old saying"If it works do not fix it." I picked up a UTG 3-9x32 CQB Bug Buster for mine, while you can certainly get cheaper, I've been satisfied with it. As other's have said, I also have been using Nikon scopes on my 22lr's. Great value for the price. I took a newbie shooting last week and she had a ball shooting the 22's and no problem at all hitting the bullseye with 3-9 magnification. I'm all for easy and my old eyes are big fans of magnification. First post here too! Top pic is PROSTAFF 3-9 Target EFR and bottom scope is old Monarch that I have. Both rifles have integrally suppressed barrels for increased fun quotient.